Integrate strength, endurance and speed elements into fun games, getting people to burn up to 800 calories without realising it. We teach you 12 starter games, carefully designed to get everyone engaged regardless of their fitness level. Learn the core Rabble rules, and how to deliver and adapt them to suit different audiences. Learn how to communicate effectively and keep people engaged, creating communities that retain people 8 times longer than gyms. Learn how to gamify exercise and help others get fit through play so you can deliver enjoyable workouts. We teach you 12 starter games created by us that have been made to incorporate HIIT workouts. Learn the core Rabble rules, how to deliver these to your members and adapt these rules to suit different audiences. Receive the certificate for completing your training and begin to build your Rabble club. 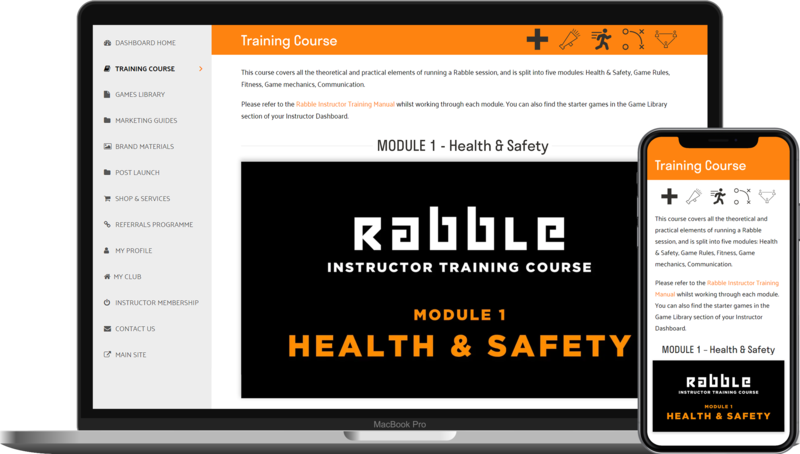 The Rabble Online Training Course covers all the theoretical and practical elements of running a Rabble session. It is split into five modules to be used in conjunction with the training manual, and focuses on helping you harness the skills and qualities needed to be a top class Rabble Instructor. In order to assess your understanding of the games and communication skills, we will ask you to complete an online assessment questionnaire. Your answers will be reviewed and you will receive confirmation of passing the Rabble Instructor Training Course if you score above 80%. You gain access to the online course before your onsite training date so you can prepare for your training using the Instructor Training Manual. The starter and warm-up games pack are also available to you through the online training if you want to start learning the games early! 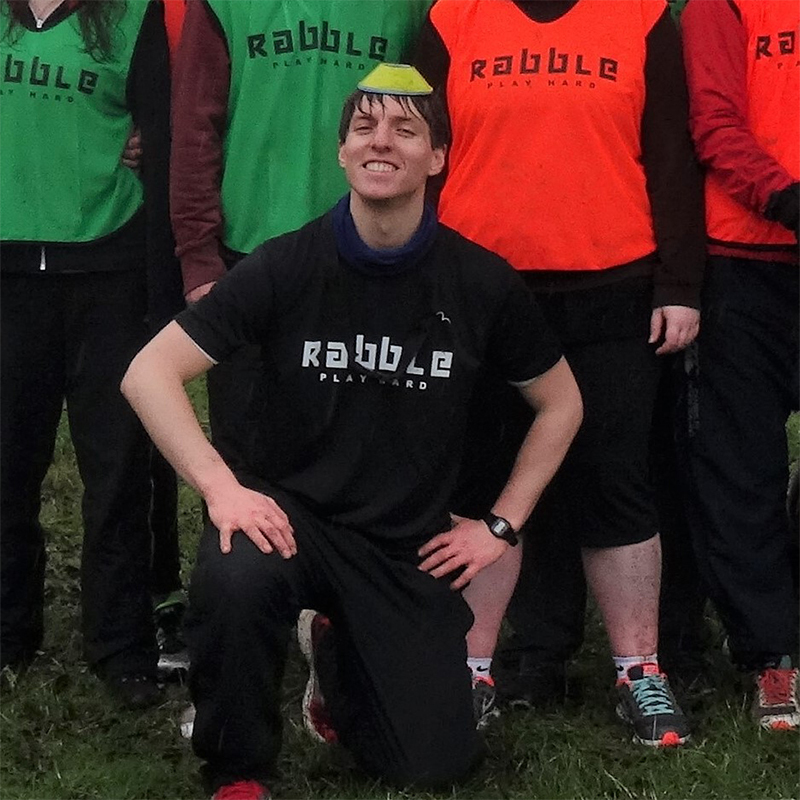 In the morning, after meeting with your designated Master Instructor and the other aspiring instructors, you will venture outdoors to take part in a live game of Rabble. This will help you understand the session as a player, and give you ideas on how to run your own. 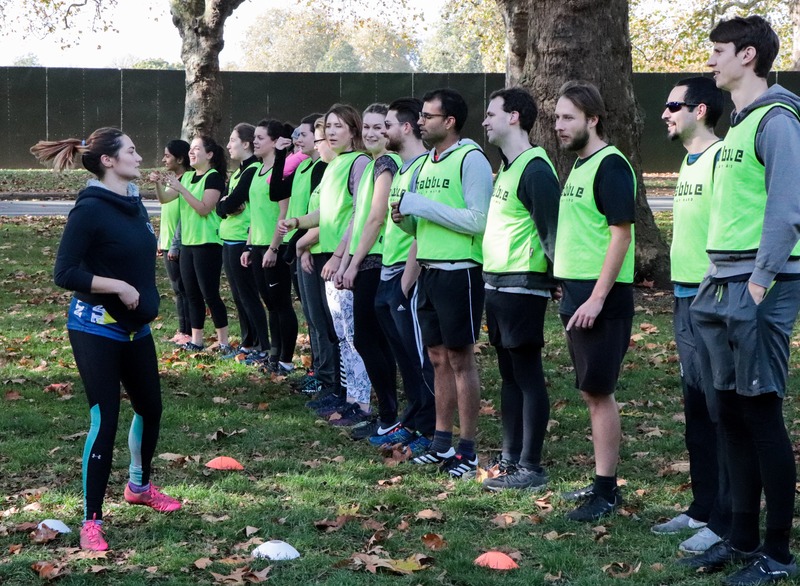 After joining in with a Rabble session, you will spend the afternoon setting up your own example pitches and running mini mock games with the help of your peers and Master Instructor. Here you will develop your understanding of each game’s rules, how to adapt pitch sizes depending on the number of players, how to increase or decrease the intensity of each game and lots more. 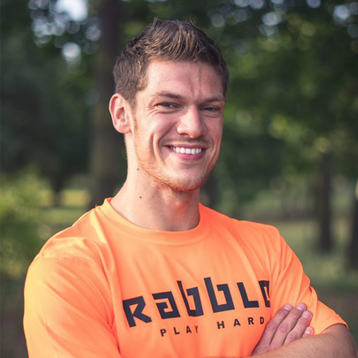 Before your day of training, you’ll be contacted by your Rabble Master Instructor. They will confirm the meeting point and answer any last minute questions you may have. 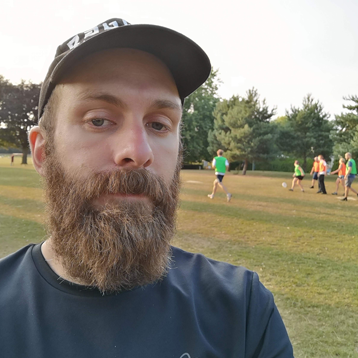 Throughout the day, the Master Instructor will be by your side giving feedback on running the session, encouragement of players, and creating your own game variations. 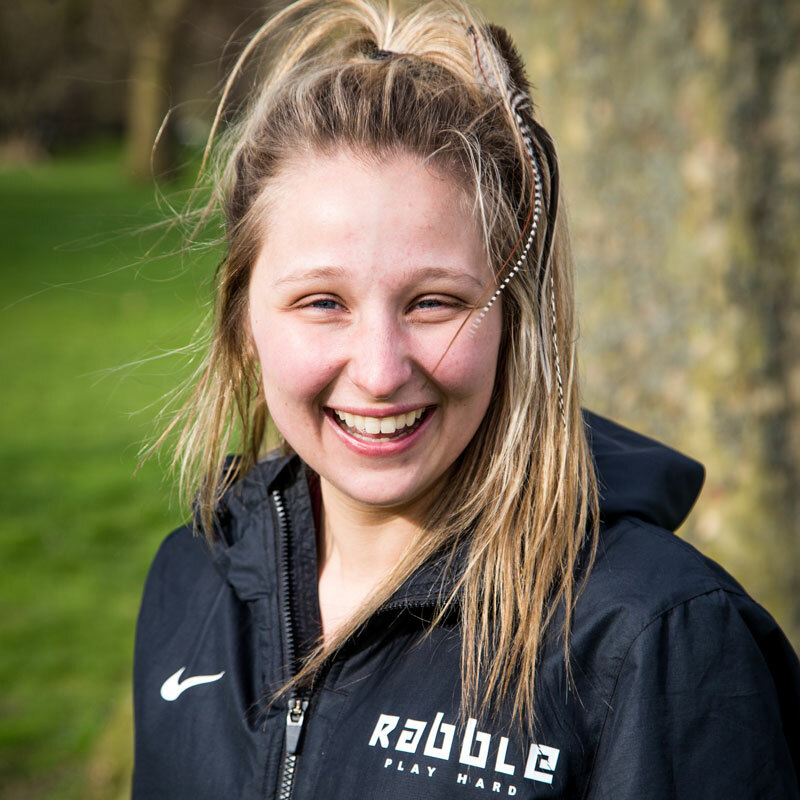 The Rabble Online Training Course covers all the theoretical and practical elements of running a Rabble session. It is split into five modules to be used in conjunction with the training manual, and focuses on helping you harness the skills and qualities needed to be a top class Rabble Instructor. In order to assess your understanding of the games and communication skills, we will ask you to complete an online assessment questionnaire. Your answers will be reviewed and you will receive confirmation of passing the Rabble Instructor Training Course if you score above 80%. Do I need any fitness instructor experience or qualifications? Nope! We provide you with training and teach you all you need to know to be able to run your own Rabble sessions. You will be taught everything you need from varying the intensity of games, to accommodating for different players. The online course will make sure that you learn everything in your own time to make your sessions running smoothly. Of course! On your onsite training, the Master Instructor will be with you through every step to answer any questions and provide personalised feedback, in addition to the training. 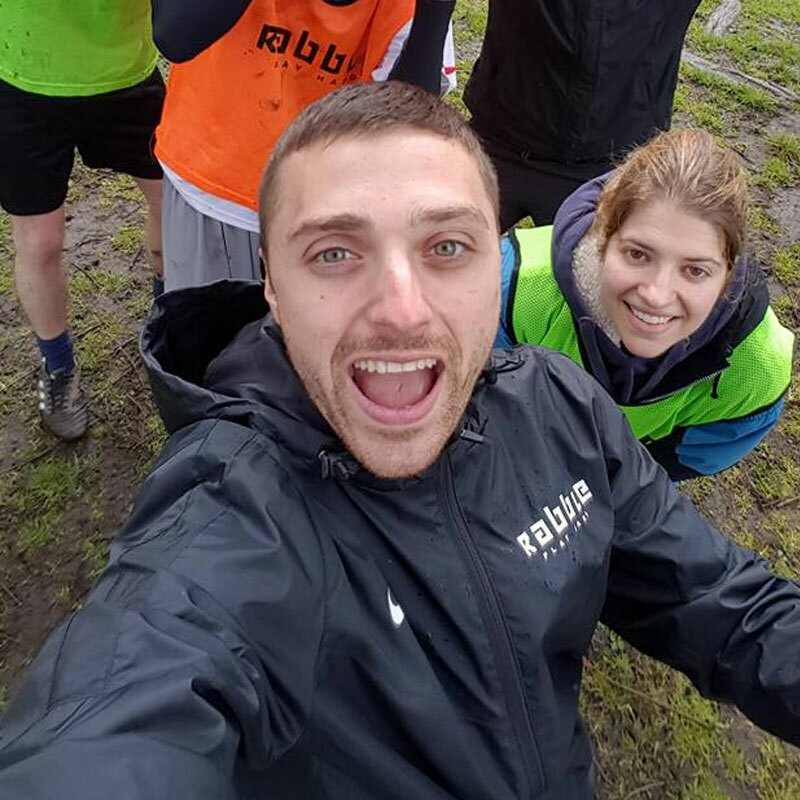 Support from Rabble through email or phone is available for both online and onsite trainees as well. Will I need to bring anything to the onsite training? You should come dressed in clothes you are comfortable to run in as you will take part in a session. The starter games pack, as well as a notepad and pen will be needed for any notes to be taken during the training.